to integrate the best mobile applications (NFC, BLE, Q/R code, RFID, ...) for creating value and offering a real set of services to everyone inside the most attractive cities in the world. To be Smart City facilitator. When you mix all these values and you put them at the center of your life, VotreCity is able build a solid and sustainable company. The richness and complementarities of our professional skills and the commitment of our teams at every moment for serving our customers and partners build and shape our identity. VotreCity is a company fully dedicated to Mobile applications and their integration inside Smart Cities. Our works and research are aimed to improve the quality of Mobile solution, Mobile payment, Mobile advertizing, Mobile Marketing and profiling that are our challenges for tomorrow. With a strong legacy of introducing new technologies into Smart Cities and a deep expertise in Consulting, development, integration and management all this information. It is useful for saving time and energy, for embracing the next decade and making the city more attractive and innovative. Capitalize on experience, works, and developments already done for preparing the best attractive and innovative Mobile platform that will be used everywhere in the world. But achieving that dream requires more amazing people. All of you should be hard workers, breakthrough thinkers, highly motivated, and passionate. If that’s you, please contact us ! Working with an outstanding team, on exciting programs, inside multi-cultural and international environment. We are born in a wonderful place (The Principality of Monaco) and we are growing everywhere in the world by duplicating our platform and sharing our expertise. 1/ Why no massive deployment yet ? VotreCity identified 70 mobile applications useful inside cities for residents, tourists, students or workers, of which 15 of them will require payment system (mobile e-purse). The business model proposed so far, is to download individual application “one by one” inside your Smartphone (occupying 5 full pages of your Smartphone). You will have to manage 15 e-purse separately, checking the balance every night, transferring money from your bank to your e-purse….etc…. you should need between 50mn to 1h45 to manage your full account. I believe you better understand why the situation is unrealistic and obviously nobody accepted to do this, so far. 2/ Why no massive deployment yet (2nd time) ? Since last 10 years, NFC development companies are developing and launching their own solutions, proposing only few added value. Then, VotreCity will acquire the best solutions (registration, payment, shopping, couponing, visit, geo-mapping, NFC applications, Bluetooth Low Energy, Tag reading system, …) for integrating them inside a UNIQUE platform. 3/ How many profile concerned ? VotreCity identified 4 different profiles (Residents, Tourists, Students, Workers) that are always present inside cities with their own zone of buying, with their own habits and needs. We have to comply with their expectations, to propose them exciting services or attractive offers. 4/ VotreCity will not develop new solutions and applications but we prefer to cooperate with the best partners, the best hardware and software providers for proposing the best set of services (ALL in ONE and fully INTEGRATED). These partners will bring their expertise, excellence, and innovation. You research mobile solutions, general information, or technical assistance ? You want to be localized. You want to leverage your business through Mobile applications. You have problems with one of our solutions ? Want to work at VotreCity ? Visit our Careers page for information or browse the jobs currently available. You are non lucrative association ? Feel free to contact us for launching charity project inside cities. 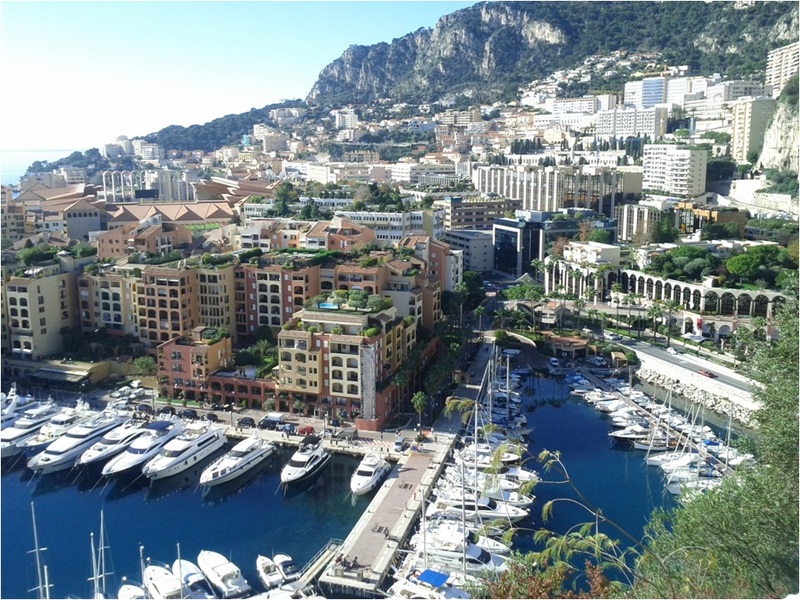 June 2015 : INNOCATIVE CITY During this event, VotreCity Monaco met lot of potential IOT and M2M partners like Cisco, Steria, Placemeter, Comthings, Schneider-electric, Vinci, Citeos, etc…. March 2015 : MWC Barcelona VotreCity met lot of potential partners and visited many booth showing very promising solutions. (Still under negotiation inside all domains) The business model developed by VotreCity imposes to work closely with strong partners and solution developers. A cookie is a small file which asks permission to be placed on your computer's hard drive. Once you agree, the file is added and the cookie helps analyze web traffic or lets you know when you visit a particular site. Cookies allow web applications to respond to you as an individual. The web application can tailor its operations to your needs, likes and dislikes by gathering and remembering information about your preferences. Please note that no personally identifiable information is recorded. when you are asked to fill in a form on the website, if you do not want the information to be used by anyone for direct marketing purposes you can mail us at contact@votrecity-monaco.com to inform us of your wishes. We will not sell, distribute or lease your personal information to third parties unless we have your permission or are required by law to do so. We may use your personal information to send you promotional information about third parties which we think you may find interesting unless you mail us at contact@votrecity-monaco.com that you wish this to receive such information. The information is provided by us and while we endeavor to keep the information up to date and correct, we make no representations or warranties of any kind, express or implied, about the completeness, accuracy, reliability, suitability or availability with respect to the website or the information, products, services, or related graphics contained on the website for any purpose. Any reliance you place on such information is therefore strictly at your own risk. The use of the web site is at the risk of the user. We do not guarantee the security of this web site or the servers providing the access or electronic communications sent by us are free from viruses or other destructive element, though every effort will be made to ensure the security of such communications. Every effort is made to keep the website up and running smoothly. However, neither VotreCity nor the companies featured on this website take responsibility for, and will not be liable for, the website being temporarily unavailable due to technical issues beyond our control. The term ‘VotreCity’ or ‘us’ or ‘we’ refers to the owner of the website whose registered office and place of registration are stated below. The term ‘you’ refers to the user or viewer of our website. The terms ‘VotreCity’ refers to the VotreCity headquarters and its associated entities (subsidiaries, joint ventures, others) wherever they are installed. These themes drive our incredible journey, that make impacts inside cities, on environment and communities. We've been on this challenge long enough to know that real change - long-term, lasting change will only be possible by taking new paths and making breakthrough thinking.